With the increasing popularity of cosmetic treatments, our practice has experienced a growing volume of patients. These patients are seeking treatment to correct treatments that are not always customized or suitable for each person. 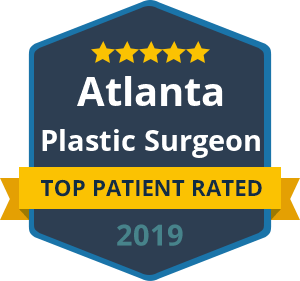 At the Beverly Hills Center for Plastic & Laser Surgery, Dr. Talei, a dual board certified plastic surgeon has dedicated his practice solely to the face. In doing so, he has a substantially heightened his ability to treat primary and revision patients with nuances developed after helping innumerous patients with novel and customized treatment plans. He is able to obtain more natural and more impressive results using his careful and thoughtful techniques, following a thorough analysis of your facial characteristics and needs. Can Botox, Xeomin, or Dysport Be Reversed or Removed? Various forms of botulinum such as Botox, Xeomin, and Dysport, are time-tested and very safe for patient administration. These medications are specifically designed to produce a clinical effect of muscle weakening (paralysis or paresis). This is by binding to receptors in the presynaptic nerve terminal and preventing the communication of a signal from one nerve to the next and to the end point, which is the muscle. Because of this mechanism of action, once the medication has bound at its end point, it cannot be removed. Return of muscle function does happen, and this typically occurs progressively over the next two weeks to nine months. The greatest effect of the medication is seen as it begins its action between 3 and 10 days following injection. Some patients, especially older patients, may experience an exaggerated effect during this time until clinical plateau and resolution begins. Hence, evaluation and retreatment of the injection outcome generally should not be considered until that time. This is unless there is a gross and disfiguring asymmetry, which is very rare. Can Botox, Xeomin, or Dysport Be Fixed or Repaired? Although there is no form of injectable botulinum in existence that can be reversed, many of the adverse effects of these medications can very easily be managed in most instances. In order to do this, you must consult with an experienced specialist with a profound understanding of muscular anatomy and the facial dynamic. The muscles in the face are in a continuous harmony and equilibrium with each other as they gently pull away from one another. Muscles only have the ability to contract, flex or pull, and they cannot push or lengthen actively. The effect of botulinum is to weaken the pull of the muscle. Since this cannot be reversed specifically, the majority of Botox repair or revision focuses on the weakening of another set of muscles, which are pulling in an opposing direction. Alternatively, the physician may elect to weaken the contralateral side alone or in conjunction with treating the problematic side. This is in order to gain a more appealing outcome and improvement of asymmetry. Can Facial Fillers be Dissolved, Reversed, or Removed? The most popular types of fillers in the United States include hyaluronic acids (HLA), calcium hydroxyapatite products (Radiesse), poly-l-lactic acid, polymethylmethacrylate and silicone. Collagen injections are rarely used in current times. Of these, the HLA products can be dissolved using hyaluronidase (Vitrase), which is a bovine related product with a low rate of adverse effects. The other fillers mentioned cannot. Worldwide there are dozens of reliable HLA products available. In the United States, the most popular are Juvederm, Voluma, Restylane, Perlane and Belotero. These HLA products can all be dissolved to various degrees at any time using small amounts of hyaluronidase. The effect of the enzyme begins almost immediately, but it takes several days to reach full effect. Once dissolved, a second treatment may be performed very conservatively to remove the remaining pockets of filler. A repeat treatment of fillers can also be performed in a more appropriate manner. Very rarely, there may arise suspicion that these products are infected. The infections are treated just like any other skin infection with the use of antibiotics and occasionally steroids, depending on the clinical scenario. Caution must be taken dissolving HLA fillers during an acute and active infection as this may perpetuate the infection in certain instances when injected too early. In scenarios such as these, the patient must be sure to seek treatment from a specialist. Can I Fix, Remove, or Revise Silicone? Silicone can be used for facial augmentation in the form of an injectable filler or an implant. Silicone implants are simple to manage and do wonderfully for most patients. Silicone when used as an injection can be a bit tricky, however. Over the years, silicone has been injected in all areas of the face. More recently, most patients receive injections for lip augmentation. The benefit of silicone is that it is a permanent filler and does not need to be placed repeatedly as HLA fillers do. This also happens to be the downside of silicone, however. When adverse outcomes arise, they are a bit more difficult to resolve. The reactions may occur immediately or several years later. They may be as subtle as irregular or granular, appearing skin on the lips. The only non-invasive therapies that have demonstrated some improvement are ultrasound or radiofrequency treatments such as Ulthera. These treatments occasionally can shrink the surrounding tissues when reactions occur. Otherwise, small procedures are the most effective in improving the appearance. At the Beverly Hills Center for Plastic & Laser Surgery, we are specialists dedicated to the face. Our profound understanding of the facial dynamic and commonly encountered issues with both invasive and non-invasive treatments, has helped us as a leading figure and referral center for complications related to injectable treatments. In addition, our understanding of the face enables us to achieve results rarely seen elsewhere. Contact us today to schedule a consultation for you or a family member.